We had been talking about the aging process. She uttered the same term I had been using ever since my husband and I bought a two-story town house rather than an apartment in a continuing care community. The practicality of the choice began to weigh on me soon after moving in the middle of December when I came down with “walking pneumonia” following a bout with the flu. Two weeks later, I fell on a wet floor in a department store. I lacerated the side of my face, therefore, making the second trip to Urgent Care within two weeks. 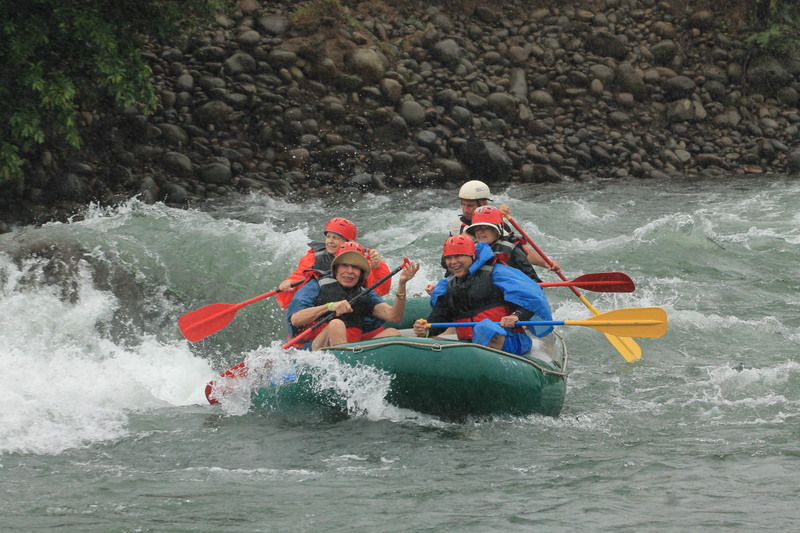 The day after my conversation about life being a crapshoot, I had planned to go white-water rafting for the first time. The rapids were a class three. How rough was that, I wondered knowing that the range went up to a five. But still . . . I woke up the next morning to a thundering rain. This was the Rainforest after all. Would the rafting trip be called off? Pushing myself to go, I put on a bathing suit, brim hat, a semi-waterproof jacket—which took three days to finally dry out—and Keens. Ten of us showed. After brief instructions, we donned life jackets and helmets and were each handed a paddle and assigned seats in the inflatable raft. Heavy rain pelted us as we followed directions from our guide. “Row” “Stop.” “Down.” “Down” was the scariest. I can still see the raft rushing toward a thick tree trunk extending over the river. The leaves from the tree swept across my face as I hunched on the floor of the boat. We rose up and dropped down and spun around in the white-capped waves. We dodged rocks. Once, when we slammed into a wall of water, I unintentionally shrieked into the noise of the rain and river. During the river’s calm moments, our guide pointed out the birds and reptiles that watched us from the trees and shore. Halfway into our trip, we beached our rafts, shared a pineapple and watermelon snack and posed for a group picture. (I am fourth from the right) The outing ended all too soon. As I, along with the others, hiked back to the hotel in the rain, we congratulated ourselves on not falling out of the raft. I felt tired but exhilarated. Tossing aside feelings of fragility had made room for experiencing the challenges and excitement of life. Yes, life is a crapshoot. You go, “old girl”! So proud of you for doing the rafting trip. Life is too short to miss out on some of this kind of fun. Carpe diem! 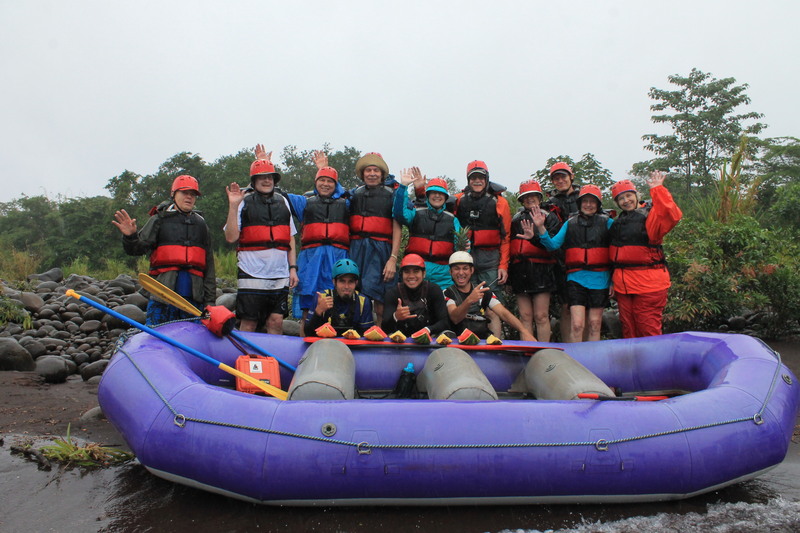 There were roles models out there, such as the other nine who came out in the rain to ride the rapids along with me. Greta, you are certainly a great role model, too. As you well know, I was with you on that trip. Even though I had only met you the night before, I believed you when you confidently assured me that I, scared as I was, had nothing to fear. I only learned afterward that this was your first trip, too. I have you to thank for one of my most thrilling experiences ever. Bravo! Donna, I am sure I was reassuring you only to reassure myself. It was not the first time I gave advice about something I knew nothing about. My husband would not be surprised. You were brave to ride the rapids. But after getting to know you, I doubt you are one to shy about from a challenge. 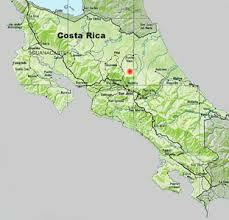 I enjoyed sharing the Costa Rica experience with you. I am sure you will Sara. Here’s a link to your site and info on your business for others to look at. Good luck and thanks for visiting my blog.